Color-coded hem to identify size, XL blue, XXL yellow, XXXL black. 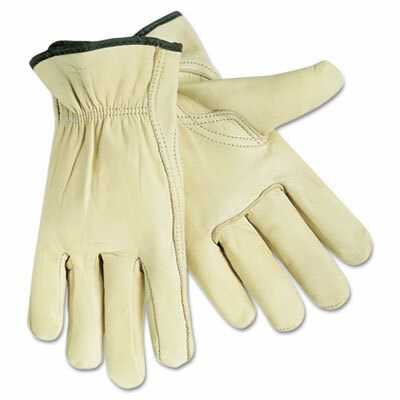 Full leather work gloves. Made from premium grain leathers. Convenient slip-on cuffs. Unlined styles. Color-coded hem to identify size, XL blue, XXL yellow, XXXL black. Click here to see more Gloves!